Side Effects: Knocking on wood, throwing spilled salt over your left shoulder, and planting lavender for luck. 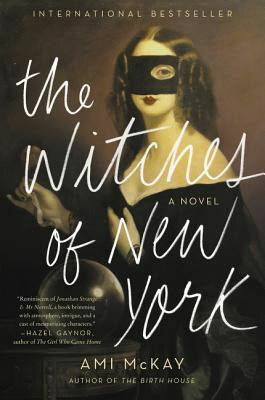 “The Witches of New York,” is an international bestseller from acclaimed author, Ami McKay and a darkly atmospheric tale of historical fiction. Three gifted, rebellious young women face prejudice, male superiority, and superstitions fueled by religious fervor. From the dedicaton on the first page, to the spellbinding conclusion, readers will be caught up in the mystery, magic, and evil. Directions: This is a richly researched and historically accurate novel. The main characters run a tea shop where their female patrons come to drink tea, have their palms read, and their fortunes told. And to seek out solutions to problems best shared with other women. 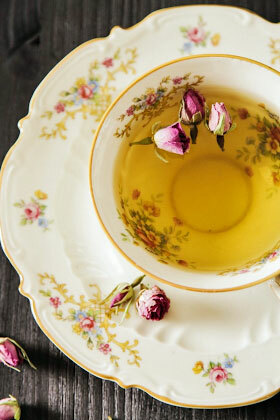 The 1880’s were a time period when even drinking tea was considered frivolous, leading “to all sorts of sins: idleness, gossip, political activity, and subversive thinking.” It’s a story of women confined to asylums for “uterine derangement, hysteria, and over-action of the mind.” It’s also a story about friendship between kindred spirits, a triad of fiercely independent women whose gifts will not be swept under the rug or labeled as simply intuition. “Witches see to things best sorted by magic: sorrows of the heart, troubles of the mind, regrets of the flesh.” A witch’s survival, however, is somewhat in the hands of fate for those who do not understand them will seek to destroy them. But be careful what you wish for. Special Instructions: Take with food and drink. Tea and pastries on fine china by candlelight highly recommended. 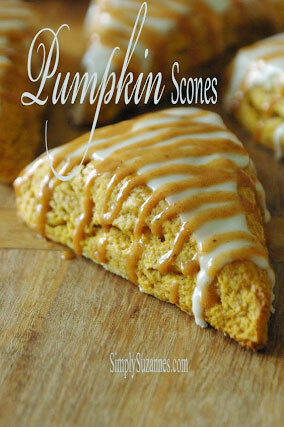 We suggest this pumpkin scone recipe by Simply Suzanne’s. 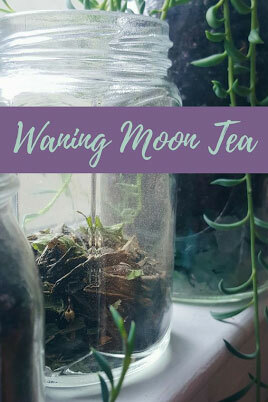 And to wash it down, how about some Waning Moon Tea? Here’s a great recipe from The Witch of Lupine Hollow.